Here at Vegetarians of Washington, we are often asked for recommendations of vegetarian or veg-friendly healthcare providers. If you are a healthcare provider of any kind, licensed in the state of Washington, and you are either vegetarian or vegan yourself, or you consider it to be a very healthy choice for your patients to make, we encourage you to contact us to let us know of your qualifications, your specialty, your practice location and contact information, and your experience with vegetarian and vegan diets. We will compile this information into a helpful list which we can share as needed. The Physicians Committee for Responsible Medicine (PCRM) publishes an excellent book – A Nutrition Guide for Clinicians, which is a comprehensive, portable medical reference manual. 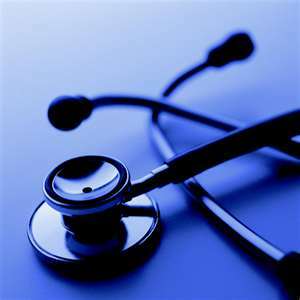 It covers nearly 100 diseases and conditions, including risk factors, diagnoses, and typical treatments. Most importantly, it provides the latest evidence-based information on nutrition’s role in prevention and treatment, including an in-depth examination of general nutrition, macronutrients, micronutrients, and nutritional requirements for all stages of life. In addition, it describes helpful ways to talk with patients about dietary changes. If you’d like to have all the latest nutritional information at your fingertips, you may find this book very helpful. It is written for clinicians, so it provides all the medical details you’ll need for almost every common situation. The PCRM has also put together a website http://nutritioncme.org/ which offers free online Continuing Medical Education (CME) credits to healthcare providers who study the educational materials on their website. It is well-designed with the latest nutrition information to help bring any healthcare provider up-to-date with the scientific evidence showing how our food can help heal many common diseases. If you need a movie to recommend to patients who could benefit from a change in their diets, or a quick introduction yourself to some of the recent research which has uncovered the many health benefits of a vegetarian diet, the new movie Forks over Knives is now available for free instant download from Netflix, for downloadable rental ($3.99) or purchase ($9.99) or as a DVD ($14.99) from Amazon.com. You can also recommend our books The Vegetarian Solution, by Stewart Rose, or Say No to Meat, by Amanda Strombom and Stewart Rose, as good sources of valuable information about the health and other benefits of changing your diet. For patients who are new to healthy food, our latest book In Pursuit of Great Food: A Plant-Based Shopping Guide, could be very helpful for them.